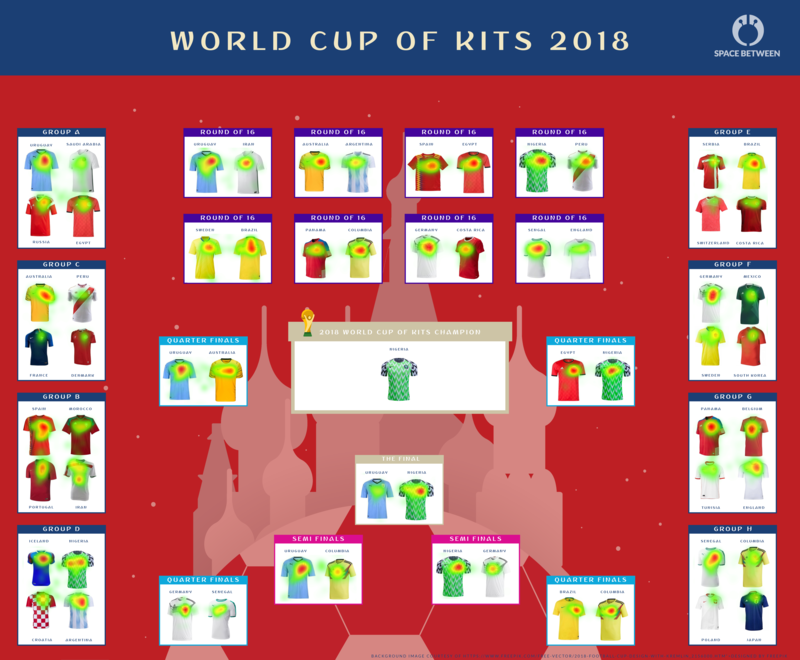 World Cup of Kits | Winner Revealed With Biometrics! The 2018 Russia World Cup is upon us. We've noticed a change this tournament... The kits have been getting far more focus than the football! What's not to love? That's why we decided to run our very own World Cup of Kits 2018. We've taken all of the home kits in the World Cup this year and put them through the rigours of our Biometric Lab. This allowed us to gain some actual scientific data, which we've used to determine the winners and losers. We've kept it authentic, and tackled the testing in true World Cup style, yes we have group stages, round of 16, quarters, semi's and a tense final! Check out the winners, and losers, below. Click below to reveal how Nigeria won in full resolution version. We ran our testing sessions in the World Cup format so you can see how each team made it through the group stages, who sneaked through the quarters, got an easy ride in the semis, and went on to win... expectedly! Click to reveal the full resolution version. Our lab is a collection of amazing tech that allows us to connect people up to our software. In this case we just focussed on eye tracking, though we can gauge emotions by measuring galvanic skin response. We didn't feel football kits would offer much of an emotional reaction, so left that one out! We ran each participant through every stage. We gathered lots of data from each participant and collated it together to form our insights. These were scored on 3 key areas. Combining this data allowed us to see who statistically had the best shirt.